Thank you to all who left a comment to celebrate the publication of The Shadow Queen. To mark the publication of The Shadow Queen in paperback in March 2018 I am promoting a giveaway. Two signed copies of The Shadow Queen. Leave a comment below and you might be one of the fortunate winners. Be interested to read about Joan of Kent someone l really know little about look forward to finding out more . Love your books. Especially the virgin widow. 😊💝😘 Just can not wait…..
I’d love to win a copy of book by the queen of historical fiction. But then I never win anything. Yes please! Loving anything historical. Only touched a little on Joan of Kent, so more please!!! I adore Anne’s books and have found each one a delight with well-rounded characters and the history woven in seamlessly. Joan of Kent (The first Princess of Wales) is such a strong woman despite her past and royal connections. I would love to read about Joan of Kent…..All of the English queens were interesting but little has been written about any of the except Elizabeth I.
I’m really looking forward to reading another wonderful historical novel.Anne’s novels are always excellent. Sounds like a fabulous book and I would love to add it to my history fiction bookshelf with all your other books! Oh I would love to win a copy! Fabulous giveaway! Your upcoming book sounds fantastic! Thank you for the chance to win a copy. She is so often whitewashed from the history of the period. Looking forward to discovering her a little. Would love a copy. Thank you. SUPER excited to see another work of yours out into the wide world – Congratulations on your fabolous accomplishment! Would love to win a copy to read it full – thanks so much for hosting such a great giveaway! What an amazing giveaway!! I absolutely would love to win a copy! I recently started to read your books, and you have become my favorite author!! I’ve had The Shadow Queen on my wishlist since I saw you speak at Henley Literary Festival last year (alongside Rory Clements). Would be lovely to win a copy. Thanks for running the giveaway. I fell in love with medieval British history about twenty years ago while I was leaving in London. I am obsessed with it and can’t read anything else. I would love to win a copy of your books . Thank you so much for your brilliant work . Thanks for bringing so much of our history back to life and in such detail! I have recently discovered your books at Shakespeare and Company in Paris, and I just LOVE it! Although I own The Shadow Queen on Kindle, I would love a signed copy. It would take pride of place on my Book Shelf where I could see it every day. What a great giveaway. Both my mother and I are huge fans of your work so it would be perfect to win two signed copies. Looking forward to the new release, Queen of the North, in May. Thank you so much for your wonderful novels. Thank you so much for this great giveaways. I would love to read about Joan of Kent! I love all your books and own all of them except this one. Id be delighted to receive a copy. I have read all of your books , and I have enjoyed them . I will be reading shadow queen , next as it is waiting for me on my table , and I have queen of the north on order, as well , something to look forward to. Love your books, Anne! The best compliment I can pay you as an author relates to your novel about Katherine Swynford. As a lifelong fan of “the other book” , I started your version of Katherine’s story with much doubt as to whether I would enjoy it. You managed to have me enthralled from the first chapter, and I was so sad when the book ended. I have all your books in paper back and any than I can find in hardback . I would love to win a signed copy as it will be the only one i have signed by you . I love all your books , you bring all the characters to life. I’ve just finished the one about Anne Neville and I would love to believe that she was really like you portrayed her . I loved The Forbidden Queen-We were introduced to the charismatic Owen Tudor- What a character! I have been a long time fan of yours and am very grateful to you for writing these wonderful historical novels which I often read multiple times. For example, when Richard III’s ruins was discovered I, with pleasure re-read “The Virgin Widow. You introduced me to Katherine Swynford – such a fasincating woman, and I really look forward to learning about Joan of Kent, another woman whom the history books (written by men!) are only to keen to ignore. I look forward to reading this next novel we always get them later here in Australia. English history has always interested me being English by birth. The history is full of well known and not some well known characters. Thank you for bringing these women to life again. I am such a fan of your work and would love to win your new book! I am a huge fan of historical fiction and love Anne’s books. Would love to win. Love your books. Would be a nice addition to my collection. I have been hounding my local book shops for weeks asking about this book. I can’t wait to plunge into it. I love your books and your Facebook page. It is great that you take the time with us all on it. I would love to add this to my collection. Even though I have already read this, I would love to win a signed copy to add to my collection of books. Great book as always….and always looking forward to the next one. Thank you Anne O’Brien for the wonderful experience each book takes me through. Be interesting to read a woman’s idea of Joans life – her dramatic history having been built largely by men! 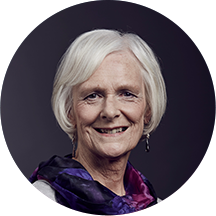 As I have a degree in History and English is my second language it is a double delight for me to read Anne’s books in the original language which gives me great enjoyment and satisfaction. Thank you! I’m excited to read of Joan of Kent. I love historical novels! Married to such a controversial man. Mother to a king. She lead such an interesting life. I cannot wait to read this. Really looking forward to reading this one ! This would be perfect reading for my holidays in 7 weeks time. Peace and quiet and time to indulge myself and get lost in the pages. Love discovering authors that I have never read before. I love historical novels and I have just discovered Annes books through a friend of mine and I am enjoying reading them. I have found that when I have finished one book I cannot wait to start the next. Thanks for this giveaway. I have enjoyed several of your novels I would love to win a copy to add to the books of yours I have. I cannot wait to read this! Love your books. Thank you, Anne, for the opportunity. Anne O’Brien is my favourite historical author. I enjoy reading her books which give a voice to strong women who have been neglected in the history books. I am excited to read ‘The Shadow Queen’ and learn about the life of Joan of Kent. I would love to read this book please! I would love to win this book please. Joan of Kent sounds like a fascinating woman. Wow, i’d Love to win and be able to read about Joan of Kent. I’ve read nearly all of your other books and I love them!! Would so love to win and read about the medieval times of Joan of Kent life. I love Anne’s books. They are fascinating and a real history lesson. Can’t wait to read The Shadow Queen. Knowing nothing about join, this would be a fantastic prize. Knowing nothing about joan, this would be a fantastic prize. I love all of your books so far and would love to own a copy of The Shadow Queen!! Joan of Kent was a strong, fascinating woman and it would be great to learn more about her! Anne brings the characters from history back to life in vivid and amazingly detailed and descriptive ways ! It’s as if we are living alongside them as we turn each page of her gripping narratives. Can’t wait for the next book! Have just reread the King’s Sister so am very much looking forward to reading more about the politically savvy Joan of Kent. Her books really are historical fiction at its best. Facts and what must be hours on hours of research, with the blanks filled in using imagination. Perfect. Nice giveaway….I love your books. I just recently read A Triple Knot and now I’m very interested in Joan of Kent. Looking forward to reading whether I make a winner or not! Sounds like a good interesting book and the sort I like to read. Looking forward to reading the new book one way or the other!! Thankyou Anne for opening another window to look into the past and the offer of your new book. Thank you for this giveaway. It would be such an honour for me to win a signed copy of your book. Another amazing book of yours to add to my collection. Would be an interesting read. Not many books written about Joan. many of the other authors: Allison Weir, Phillipa Gregory, and many others. My sons are descendants of King Edward III through the Bohuns. He and his family are my favorites. I’ve read several on Joan, and they were all very different. Can’t wait to read your version. I wish I could reaad this book in polish, but unfortunatly it is not translated. So I hope to have a plasure to read it in original. I keep my fingers crossed. It would be wonderful to find out more about her. My passion is mediaeval to Tudor history . Thanks for all of the work you do. I love it. I love historical fiction as well as true history books. I have a great interest in the Plantagenets and the Tudors. Your books are real page turners and very interesting. I enjoy them very much. Joan of Kent really is The Shadow Queen; I know so little about her! This based-on-the-facts telling of her tale will bring her out of the shadows and I can’t wait to see the light that will be cast upon her. I’ve not yet read all your books, Anne, but those I have read, I’ve loved! I’m looking forward to reading your other novels, and the Shadow Queen sounds like it will be wonderful. Thank you for your superb novels. Love your books Anne! I would be absolutely honoured to own a signed copy! Keep writing my dear! Love reading historical novels. I haven’t read anything about Joan of Kent so I would be delighted if I was selected to receive a copy of this book by you as you put so much detail into your novels. I cannot wait for the release of this! I’ll buy a copy anyway but if I win I’d gift it to my sister in law Sally who is also a huge fan of your books. Oh wow I have all your books, the actual books are a bit hard to find in Australia so I have to purchase via kindle, but would absolutely love a hard back edition for my collection as nothing ever feels and smells as good as a fantastic book you can read, touch and enjoy. I love history and always look at the books in every shop I visit. I hope to add your book to my history collection. Thank you. Hi Anne, can’t wait to read this book, I love all of your books, they get me hooked from start to finish. Amazing writer. You are one of my favourite authors ever! History has never been so interesting, so for that I thank you. Love Anne O’Brien books. Sounds like a great read!!!! Sounds great, not someone. Really know much about. Looking forward to reading it! Wonderful author – love her writing! I am greatly looking forward to reading Joan of Kent’s tale … told by such a wonderful storyteller. I came to see you in Lincoln a few years ago to hear you talk. I loved every second and it was a pleasure to meet you. 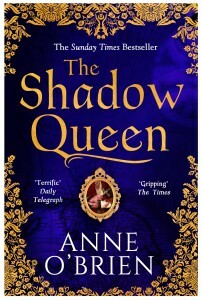 My escapism is reading historical fiction and I can’t wait to read The Shadow Queen. Ooh, just made it. Congratulations,Anne. Would love to win this. Amazing chance, would love to win. Very much enjoyed your previous work. I would love a chance to win this book! I have read all your books and I have just purchased The Queen’s choice! Love your books !! Congratulations on your latest book. 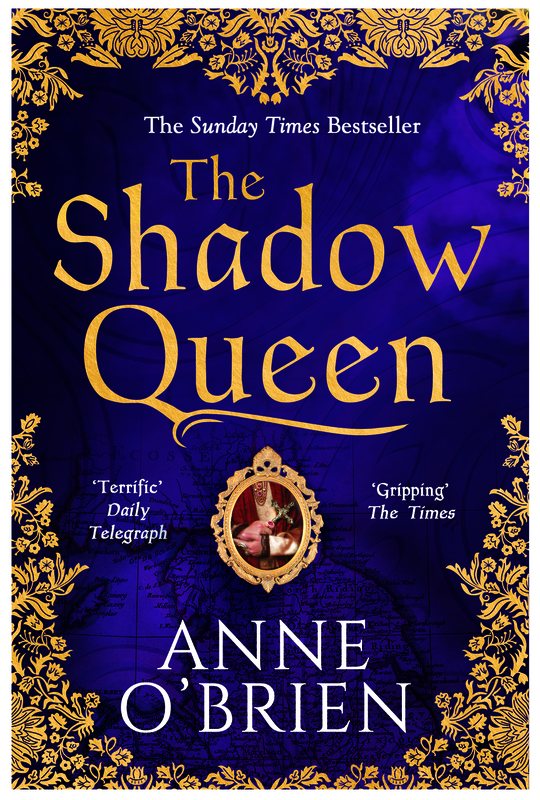 I love historical novels and would love to win a signed copy of The Shadow Queen. Joan was a strong character especially for the time in which she lived and I’m sure you will make her proud in this novel. Would so love to read about Joan of Kent and have the addition of an autographed copy 😀. Good luck to all who have entered. Love Love this authors books! Cant wait to read this one! Since beginning this journey through the medieval queens and I started with Matilda – I am very excited for your new book! In fact yours could be could be my first book of yours – I am reading chronologically. I have read many versions on Joan, and am very interested in what you say. I love all your books,and would love to have this one! British history has always been a favorite of mine, especially the time period of Edward III. I love your work Anne, and the way that you can transport me into the past, allowing me to see, hear, feel and KNOW these amazing medieval women, and step into their world, and their lives. I have been passionate about history since I was a child. At that point I read the American Girl Series with each book focusing on a girl living at a different time period in American history. As I grew older I read more and more about the queens, empresses and princesses of European royalty. I found them and their stories fascinating. Eventually, by pure luck, I stumbled upon your work and read the Virgin Widow. The book captivated me and I was eager to enjoy more of your writing. And I did so. I’d love to read about Joan of Kent. Her story is that unlike other potential queens of England to be and I find that she is not a common figure in historical fiction. I wish you well and hope that you continue to delight us readers. Love your books Anne, would love to win this giveaway. Have read all previous books. Love your fb posts & your interesting analysis of events & people of long ago. Amazing ! I have a passion for reading and love your books . I love historical fiction and would love to add this to my collection ! I have read a few books she is in but never as the main character. I am looking forward to hearing her story! Loving anything Historical. Only touched a little on Joan of Kent, so more please!!!!! !